Dual-frequency ADS-B In Receiver and SiriusXM Satellite Link. $200 Rebate Offer Details - 3 Month Free Trial Offer Details. By simply connecting a compatible Bluetooth®headset or audio panel to GDL 52, you can wirelessly listen to your choice of high-quality audio entertainment channels provided by SiriusXM¹. 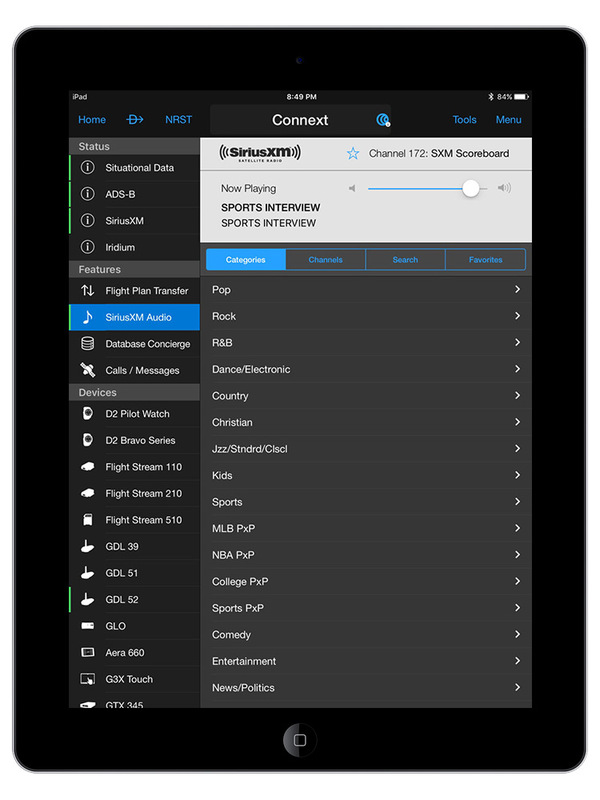 Volume adjustments and station selection may be accessed through your compatible Garmin aviation portable or mobile device app. If you prefer, a 3.5 mm stereo audio jack positioned on the side of your GDL 52 makes it easy to provide a hardwired audio out connection to an auxiliary device or audio panel in your aircraft. In addition to its weather, traffic and audio entertainment capabilities, your GDL 52 feature set includes a built-in WAAS GPS receiver. 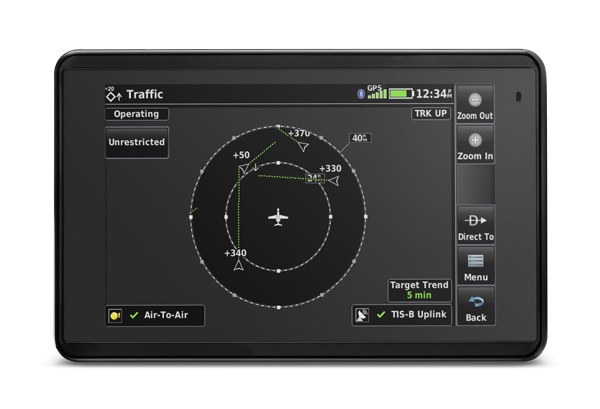 This enables GDL 52 to deliver highly accurate aircraft position, speed and altitude information to your compatible mobile device app. 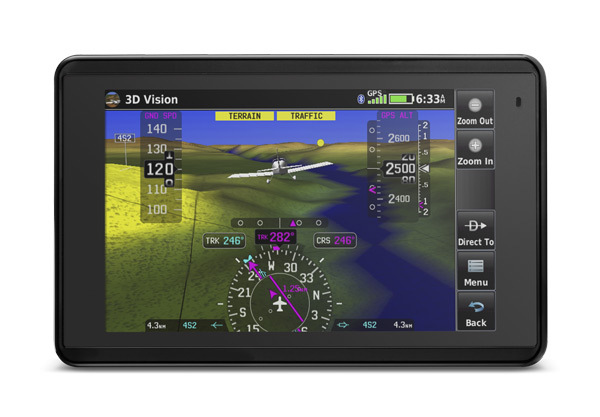 Also, built-in attitude sensors enable select Garmin aviation portables and apps with our SVX synthetic vision technology to serve as a backup attitude reference5 during your flights. With virtual terrain, obstacles, runways, horizon cues, HSI, GPS speed, altitude and more, this brings a whole new perspective to your portable navigation. GDL 52 is a true go-anywhere device. A rechargeable built-in lithium-ion battery allows GDL 52 to operate for up to 5 hours on a single charge. And for operation connected to power, you can plug in via the included vehicle power cable or microUSB port positioned on the side of the receiver. 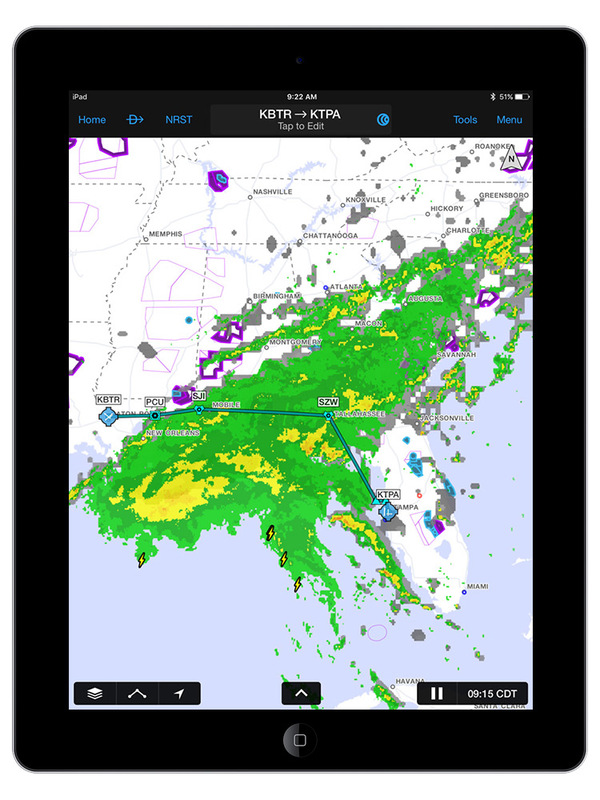 For pilots who want the best in U.S. datalink weather coverage plus an impressive array of traffic, navigation and audio entertainment options, the GDL 52 portable receiver is the ideal 1-box, dual-network solution. With its versatile connections and compact size, you can even enjoy benefits of SiriusXM audio outside the cockpit — anywhere you want to drive, pedal or walk within the SiriusXM coverage area. And by going with Garmin, your receiver will be backed by a comprehensive 1-year warranty — and by the industry’s No. 1-ranked product support team.